Why are these doctors smiling? Because they are some of the group at the EL conference who have just discovered story medicine! 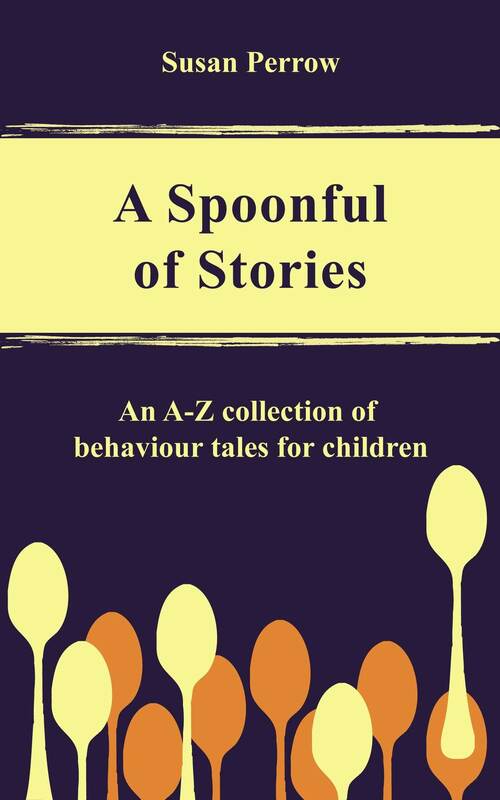 Launched my first e-book today - A Spoonful of Stories - very exciting process! Finished story no 26 last week - my A- Z Collection of Behaviour Tales is complete!! Now working on the editing and intro - soon plan to upload it as an e-book - watch this space - will be announcing the title soon!! Family members putting invaluable artistic support into the cover design - thank you Marika (and Jamie)! 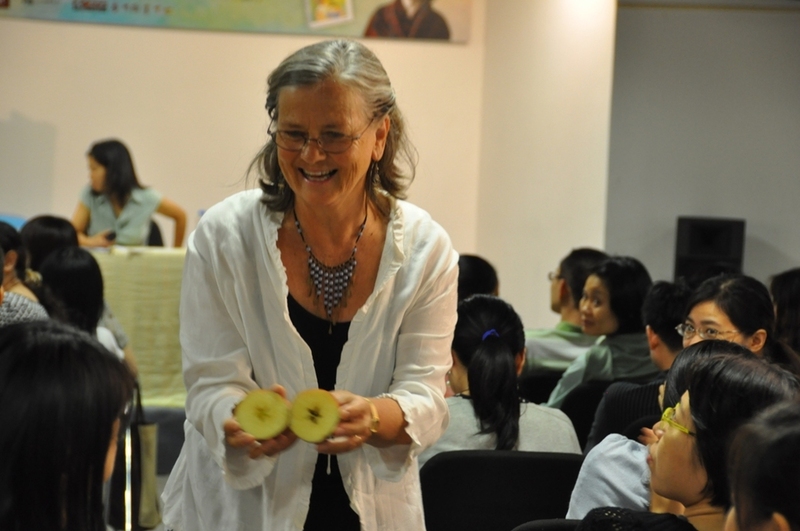 Back from China - great tour - 4 cities in 3 weeks - and books selling like hotcakes! Many new stories created at workshops - what a privilege to be doing this work! Stories can be a very effective tool today in addressing specific and general behaviour challenges in children, and there seems to be more and more need for such tools in our complex modern lives. I have worked with this tool in a two year contract with the Australian Government from 2001 to 2003, piloting Creative Parent Support Programs. This work often involved home visits to families where I observed difficult situations and then wrote a story (often feeling like a ‘story doctor’) to help heal the difficult behaviour. The work then extended into running Creative Discipline Courses for parents and teachers where the participants were encouraged to use imaginative approaches (songs, poems, stories ….) to handle discipline challenges – see table of documented story outcomes in the listed conference papers. The home visits plus the workshops has produced some very successful results, confirming for me, the parents and the teachers the place for metaphor and story in child-rearing practices. (Refer to my first posting for some examples of stories for specific and general behaviours). Then I experimented with writing stories for specific behaviours - for example, working with metaphor, repetition and rhyme for a 5 year old who was still soiling his pants (a story about ‘Farmer Just Right’ with his repeated slogan – ‘a place for everything and everything in its place’); helping the smallest child in a kindergarten group feel important for being the smallest (The Littlest Bubble); helping a child understand and cope with a recent fire at home where he watched his own bedroom burn to the ground (Mother Rabbit and the Bushfire) ; using metaphor and story for both a child and mother suffering from separation anxiety (Baby Bear Koala). These stories and many more (80 stories in total) can be found in my first book, Healing Stories for Challenging Behaviour, along with a framework for therapeutic storywriting and many tips on storytelling and storymaking.